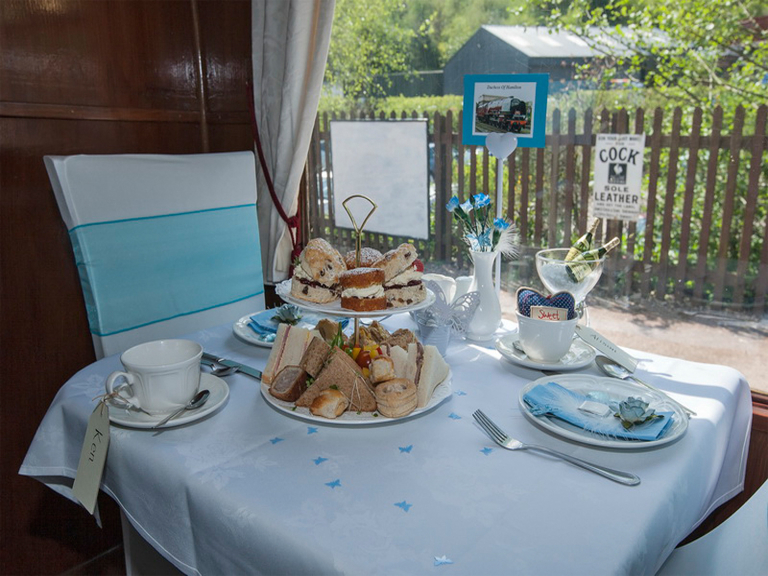 Enjoy an enchanting steam train journey through the delightful Somerset countryside and along the Exmoor coast, whilst enjoying a traditional West Country Cream Tea. Start your day at Bishops Lydeard, and travel to Minehead on any train from Bishops Lydeard, where you can enjoy a day out exploring the beautiful seaside town. Please ensure that you arrive in Minehead prior to 16.30. Your Steam and Cream Special ticket includes your return travel on the West Somerset Railway, and your locally produced cream tea. Enhance your day even further by purchasing a 'Combi Ticket' (where available), and combine with either our Cheese and Cider Special or FIsh and Chip Special. The Cheese and Cider and Fish and Chip Special is a sumptuous lunchtime treat, served on the 12:40 outward departure from Bishops Lydeard (available on selected dates only). We regret that Cream Teas cannot be provided for special diets, but a slice of Gluten Free carrot cake can be provided as an alternative if requested in advance by calling 01643 704996, please inform us at the time of booking. Tickets for our Catering Specials, including our Cream Tea Special, must be booked in advance. We use Miles Tea and Coffee for our Cream Tea Specials, Miles Tea and Coffee, are tea merchants based in Minehead who blend their tea in house. They also have a coffee roasting house on the foothills of Exmoor.